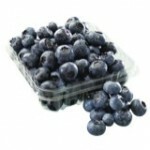 The cultivated blueberry or Highbush blueberry originates from varieties of wild blueberries. In the 1930s-1940s, American researchers have selected the strongest plants, and then have created varieties that give larger, sweeter and more resistant fruits, by hybridization. Since then, research continues to find varieties better suited to our climate. 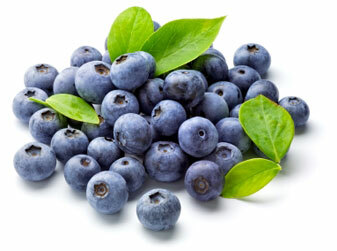 Highbush blueberry is now cultivated around the world (Australia, New Zealand, Chile, China). This variety is the most cultivated in the world. It gives clusters of large fruits and an excellent productivity. We also have several other varieties in trials. Whether they are wild or cultivated, fresh, frozen or juiced, these beautiful blue fruits are particularly rich in vitamin C. Antioxidants champions, their consumption would prevent many diseases. 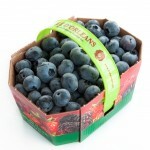 Our Blueberry production extends from late July to late August. During this period, you can find our products in local stores.